a primed canvas is sent through the mail without any package. The marks of its transit add to the work. 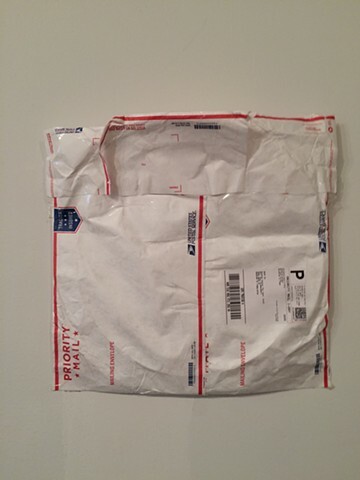 In this instance USPS employees created this envelope for the painting.